Leading Manufacturer of balance scale from Savarkundla. 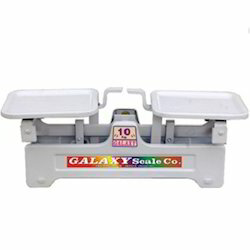 Galaxy Scale Co. Has emerged as a highly reliable Manufacturer, Exporter, Suppliers of Mechanical Weighing Scale Viz. Weighing Scale, Balance Scale, Counter Scale in INDIA. These Weighing Scales are appreciated in the worldwide market.